As I mentioned previously, after purchasing a dining table from Kasala and not being entirely happy with the sideboard we also purchased, I decided that we needed to find a new sideboard. 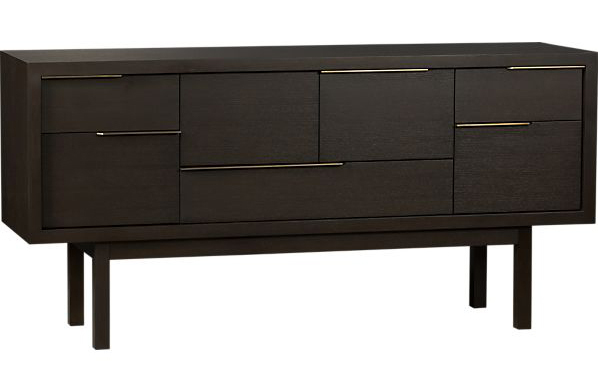 I fell in love with the Pearse sideboard at Crate and Barrel. The price was right and I loved the design. After ordering online, I got a call about 2 weeks later saying that my order couldn’t be fulfilled. I was devastated! I called the two stores in my area to see if I could buy the floor sample but alas, it had sold just the day before. I even talked with the Crate and Barrel furniture rep if I could keep my name on a waitlist to see if I could get any orders that were cancelled by other customers. Unfortunately the rep said that I was 2nd to last on a lengthy list of unfulfilled orders. After nursing my broken heart for a few weeks, I’m back on the quest to find a sideboard for our living room. Crate and Barrel Pearse large sideboard – So sad this was discontinued! We ended up going to visit a few of stores over the weekend and I wanted to write down my thoughts on the stores, selection and service. It turns out several of the stores are near each other on Western avenue near Madison so it was actually very easy to visit a few of them together. Street parking was also easy to find on a Saturday afternoon. I found 2 sideboards that I liked online that I wanted to see in person. I really liked the Max and Solo sideboards. They seemed sturdy but the cabinet doors were uneven. The salesperson said that could be adjusted. I just did a bit of research and Camerich is a Chinese company. I am not 100% sure but I think all of the furniture is designed and made in China. That being said, it was still quite high quality and better than anything other furniture I’ve seen from China. 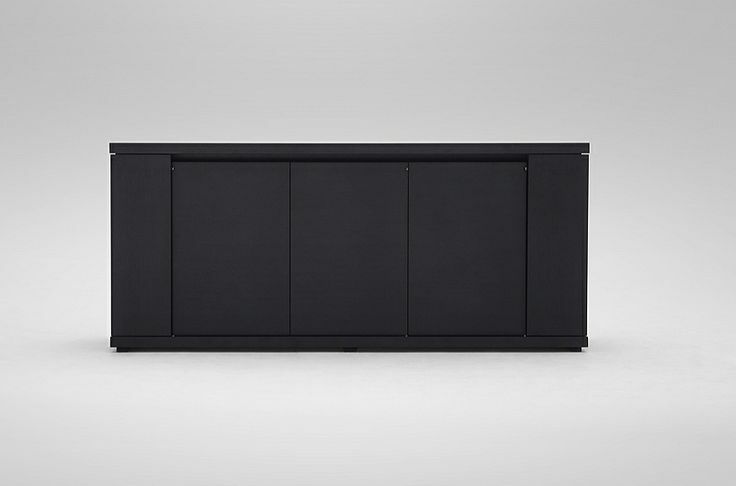 While the sideboards are really nice, they seem a tad overpriced since each piece is sold individually and the Solo cabinet’s drawers are an add-in. I think everything in the store is Camerich furniture. I saw that they had a floor sample for sale from another brand but that was it. Since it is all Camerich, the nice thing is that the entire catalog is available online on their website. This store mostly sells modern sofas (hence the name!) but they do sell Huppe furniture, though they only had 1 sideboard in the store to view. They had the Moment tall sideboard in the store. It wasn’t my favorite but it did seem well made like the other Huppe sideboard we saw previously. I didn’t pay too much attention to the sofas as we were in a hurry but I did like the design and the pricing seemed on par with Kasala. I believe all of the furniture is made to order by the manufacturers and the store doesn’t sell its own private label designs. The salesperson seemed knowledgeable about the furniture and was very friendly. 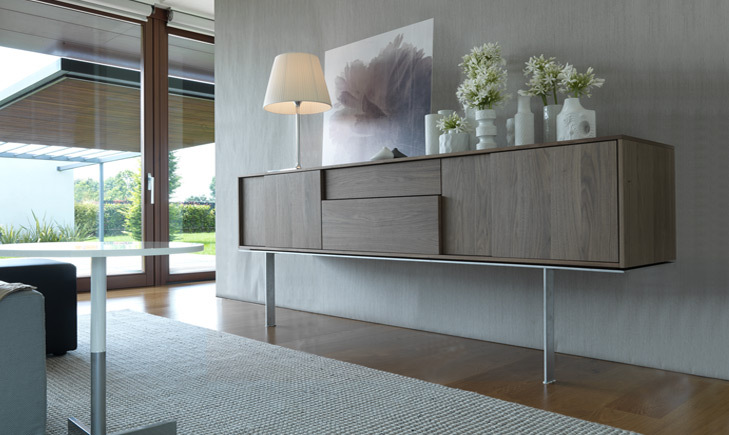 While we had already visited BoConcept in Bellevue on our last shopping trip, we wanted to take a look at the Occa sideboard again since it had been awhile. I found that the salesman here was a little bit pushy, though perhaps he was just trying to be extra helpful. He didn’t really give me a chance to take a look around before diving in to look at finishes and pricing. I got a little flustered and didn’t even get a chance to check out the construction of the drawers. Oops! I did still like the Occa but I don’t think its my top pick. Everything in the store is BoConcept design so it should be on the website. I saw that there was one more furniture store just a few steps away so I thought we’d go take a look. The store smells like new leather as you walk in and the furniture was super fancy and expensive. So much so, that my husband remarked that people who can afford to shop here would probably be using a designer to shop for them! 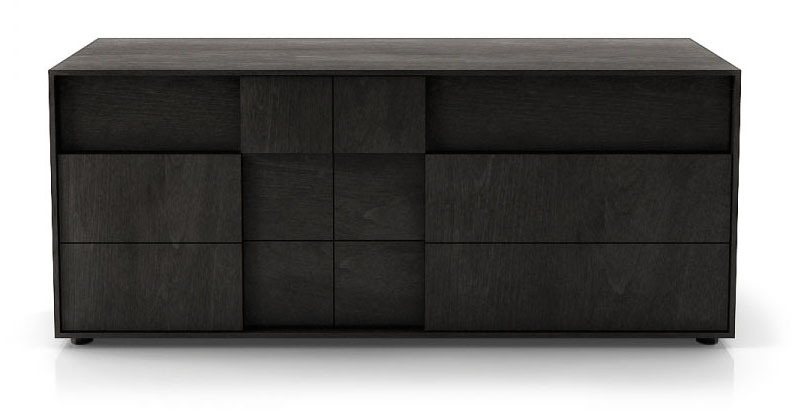 The sideboards were nice, but in my opinion not worth the $8500 price tag. Like Camerich and BoConcept, everything in the store is Roche-Bobois design. The salesman said that much of their furniture is made in Italy. The store had the Colors sideboard and Mangrove sideboard on display. Seva was the one store we visited that wasn’t on Western Avenue with the other stores. However, the nice thing is they have 2 hr validated parking in the South Lake Union Whole Foods garage! 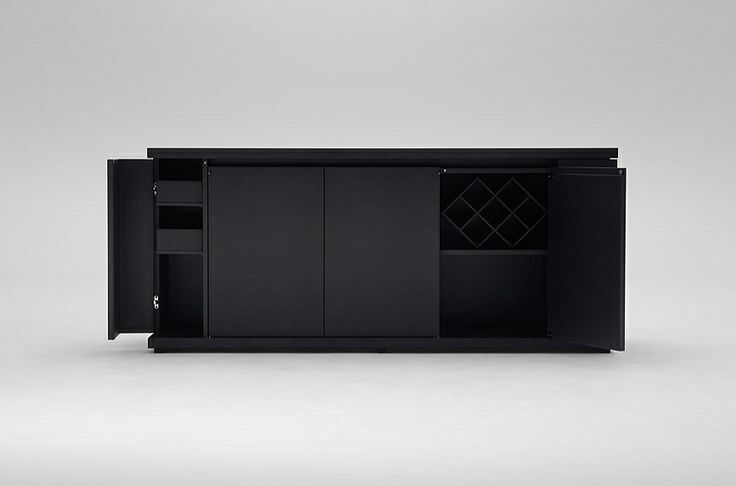 It turns out they also carry the Huppe line and had the Huppe Cubic dresser in store. 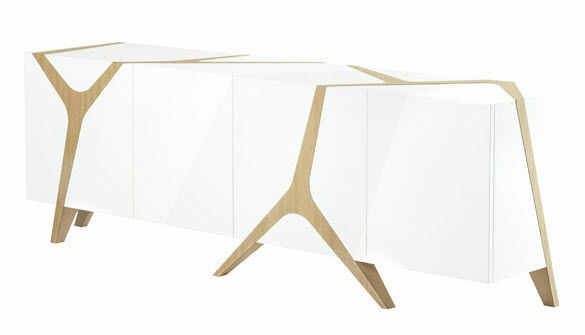 I love it and I am thinking I will love the Huppe Illusion sideboard that is on their website. Both of these are made in Canada and seemed to be good quality though I forget if I looked at the cabinet joinery technique. 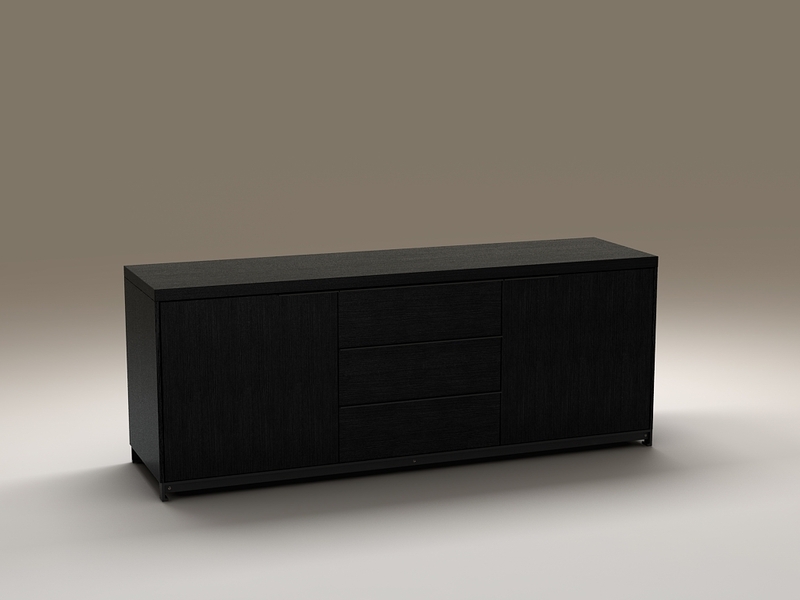 They didn’t have too many options of sideboards to look at but they did say they represent over 350 manufacturers. While I was there, another couple was pouring through design books, presumably picking out options. The salesperson I spoke to said she would email me options that she would pick out since my little one was starting to have a meltdown after a few hours of shopping! Alchemy Collection stocks Calligaris Furniture which looks beautiful online. They also stock Jesse Furniture who makes the gorgeous “Frame” sideboard that I saw at Kasala (for some reason it didn’t really appeal to me in the Mustard laquer that Kasala had in store, but this photo with the walnut veneer looks amazing!). I’ll have to find time to go back to Seattle to visit that store sometime soon. Ligne Roset seems like a French BoConcept to me. Their website seems to show many options for the different designs and the prices for each. Avetex is a San Francisco company but had a page on Seattle deliveries which I found via Google. While I am usually not opposed to ordering things online, furniture seems like it would be a little risky. What if there was an issue when the item arrived? I will have to do a bit more research into what Avetex does in that case. Inform and Diva Furniture represent plenty of high end designers. A good place to start looking at designers if you like modern furniture. As you can see, I really like geometric lines! I didn’t expect it, but I seem to have a bit of a “type”. Did you like any of the sideboards I’m considering? Let me know what you think! Excellent image of interior design work & you have explain everything in few words. Thank you… for sharing with us.